You can do this when you find a "I´m not a Robot" captcha!!! 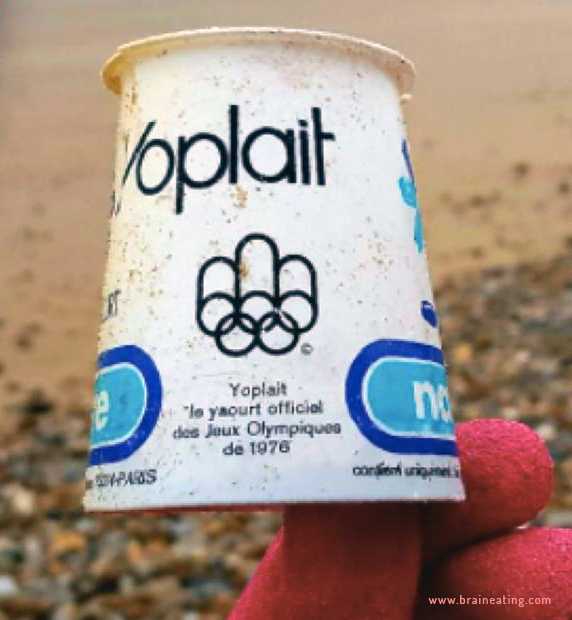 Rob Gordon's got famous last November 2016, when he tweeted this amazing photo of a 1976 yogurt cup found forty years after. Also check this link.